My first attempt back in 1993 to use oil on canvas. 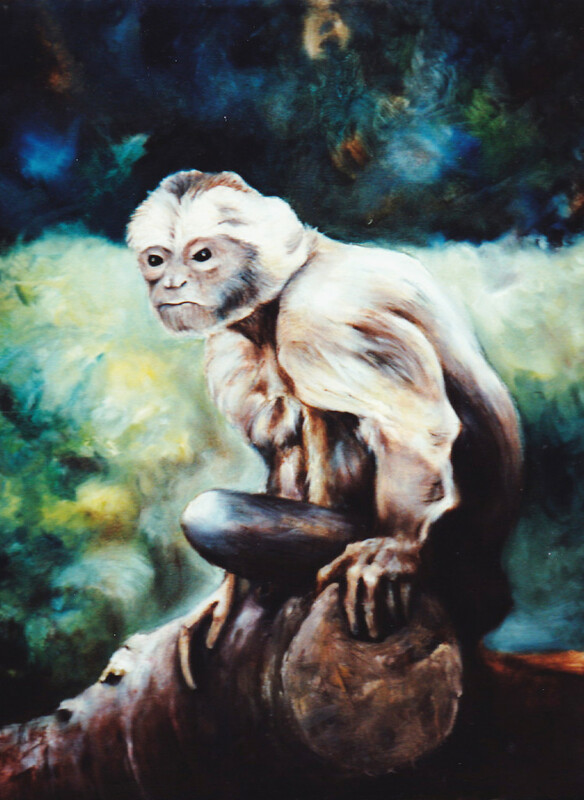 Love this monkey painting. My grandmother did too so she hung it up in her house and she would talk to him! He kept her company.